Accent your coastal patio with the 20,000 Leagues Indoor/Outdoor 5 x 8 Rug. 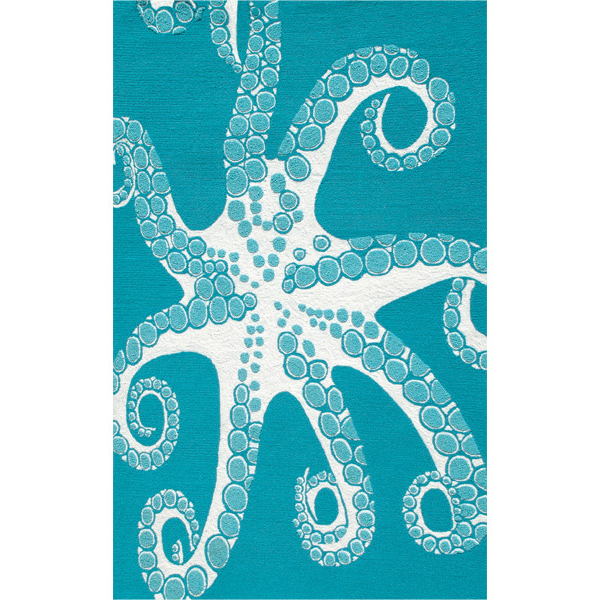 This area rug features the tentacle side of an octopus in shades of blue and white for a beautiful addition to your home. Clean with mild soap and water with garden hose, air dry.